Implenia continually adapts its structures and processes in response to market developments in order to stay competitive and exploit market opportunities. Despite the low margins in the construction industry, by carefully weighing up opportunities and risks the company can ensure its long-term success and create sustainable value for its stakeholders. Structure of Group-wide operating model defined to harmonise all core processes and documents; first content integrated. EBITDA, the most important benchmark of the Group’s operational performance, rose to a new record figure of CHF 173.8 million in 2017. Digitalisation and BIM strategy: implementation begun and BIM used in around 250 projects. Customer satisfaction maintained at high level of 96%. Since its creation in 2006, Implenia has developed into a strong company with a comprehensive range of services, a well-positioned brand and a solid base in the Swiss market, as well as in Germany, Austria, France, Norway and Sweden. With equity capital of CHF 654.9 million, Implenia has a strong capital base by industry standards. Despite the Bilfinger Hochbau acquisition, return on invested capital came to 35.4% (61.8% excluding PPA), which is significantly greater than the average cost of capital of 9.5%. The company stands on solid financial foundations and in 2017 it once again generated positive economic value. The acquisition of Bilfinger Hochbau, which was completed during the reporting period, increased total assets to CHF 2,897 million (2016: CHF 2,629 million). In June 2017, Implenia placed three fixed-income promissory notes with a total volume of EUR 60 million. The euro bonded loan reduces the Group’s foreign currency risk. In mid-2018, it was possible to renew the current syndicated loan early. The credit facility was increased by CHF 150 million to CHF 800 million and the term extended until 2023. Thanks to the renewal, Implenia has financing at better conditions. Over the last five years, all shareholders and stakeholders have benefited from the Group’s growing net added value. By far the largest percentage of this has gone to employees in the form of wages and salaries. Implenia was also able to pay an ordinary dividend of CHF 2.00 per share in 2016 and 2017. The following table, which follows GRI guidelines, provides an overview of the value that Implenia creates each year and distributes to its shareholders. Implenia has worked in line with the value-oriented management concept since 2013, focusing not just on earnings but also on the value of the company. In order to stay competitive for the long term, Implenia continuously adapts its structures and its management and control processes to the market, the latest academic insights and the latest technology. 99 percent of all units within the company undergo a continuous improvement process in accordance with ISO 9001. The company is also increasingly applying the principles of “Lean Construction”, including at the “Pont Rouge” project in Geneva, where its own employees and all subcontractors are working in strict weekly cycles using “just-in-time” methods. 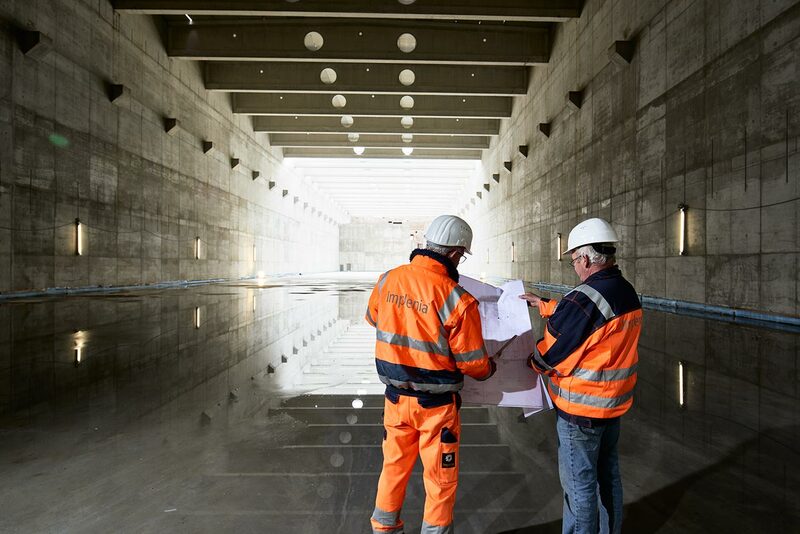 Implenia now has a nationwide network of lean experts within Business Unit Construction Switzerland. The aim of the stripped-down, coordinated work processes advocated by Lean Construction is to minimise use of resources, time and costs, and to increase quality and customer benefits. A great example of what this can achieve is the Feldbreite housing project in Emmen, where Implenia built 151 homes in spring 2017 and subsequently only had to come back and make good 13 defects. Implenia revised its IMS management system in 2015. 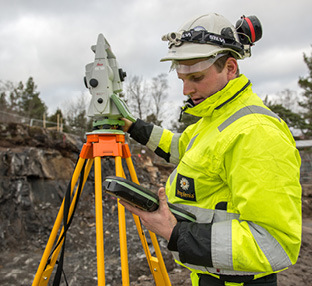 The new version 2.0, which allows seamless integration of planning, processes and people within construction projects, has been in continuous use in the Switzerland (Development, Building Construction and Modernisation), Infrastructure and Scandinavia Segments. With its standardised processes, the management system improves project control and management; it has already proved its worth in more than 300 projects. The Group has invested significant resources in digitalization and the integration of IT systems in recent years. In 2017, for example, the company initiated the Group-wide revision and consolidation of the ERP systems. Under the project name “Kairos”, various ERP solutions were standardised in addition to the introduction of RIB iTWO. These measures are of key importance for the further digital development of the Group. 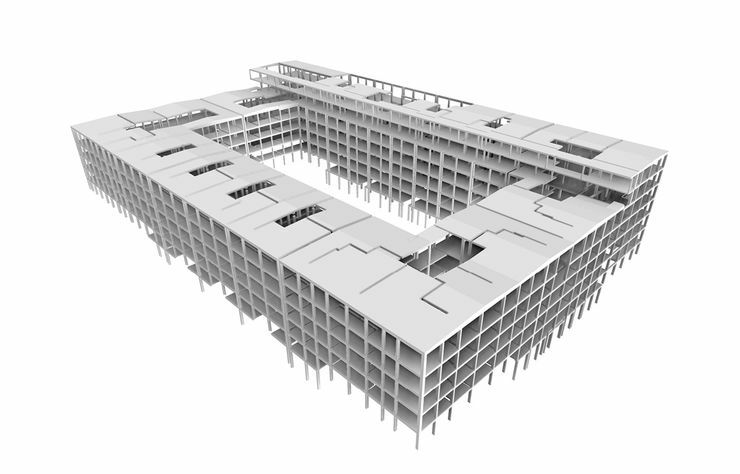 Another key element of digitalization at Implenia is BIM (Building Information Modeling). BIM is used to model a construction project digitally before it is carried out on the construction site. Put simply, BIM specialists build a three-dimensional model (3D) of the project on a computer, and then add additional information about deadlines (4D) and cost planning (5D). The customer then has a “digital twin” of the actual project, giving them an ideal platform for optimising the operational processes involved. 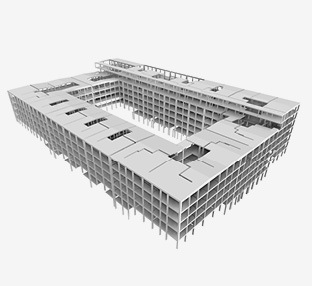 Implenia uses its state-of-the-art BIM technology in all its sectoral businesses and markets. A BIM team was established within the Technical Center in 2014 to help the business units introduce and use the new technology. One of the first BIM-supported construction projects in Switzerland was the elephant enclosure built by Implenia at Zurich Zoo in 2014. Its use has spread rapidly since then. In 2017, Implenia used BIM in more than 250 projects along the whole value chain – from initial planning, through preparing bids and right through to implementation. 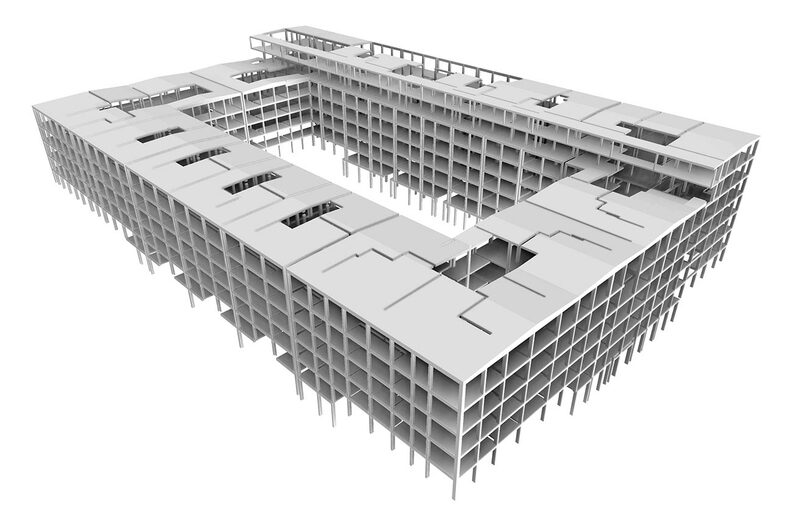 The value of all BIM projects has now passed the billion-franc mark. Implenia has been working for several years now under the slogan “One Company” to strengthen ties across the Group. The basic idea is to promote internal collaboration across organisational and geographical boundaries. On larger projects, for example, a team formed from representatives of different business units and departments will be put in charge of overall execution. The overriding aim of One Company is to get closer to customers and exploit synergies arising from corporate acquisitions quickly and efficiently. The One Company approach has repeatedly proved its worth in practice. 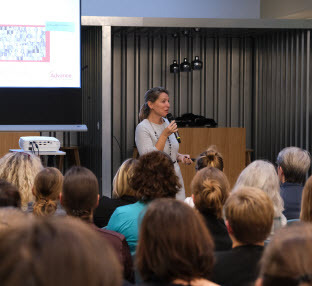 An interim report made in 2017 of 14 pilot projects involving Swiss business units drew a positive conclusion. The aim now is to consolidate the relevant methods, and in particular to improve integration with the IMS process, optimise financial processes and give additional training to employees. Sustainability is an integral component of our business and our value system. This makes Implenia’s shares and bonds attractive to investors looking for a socially responsible approach to investment. The way sustainability researchers perceive and rate Implenia’s efforts is very important, so the company works hard to provide transparent communication as well as continuous disclosure of meaningful key performance indicators and targets. In recent years, Implenia’s commitment to sustainability has received a series of positive external ratings. MSCI ESG – one of the world’s leading credit rating agencies – confirmed its AA rating in 2018, for example. 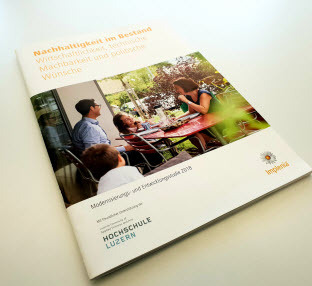 Sustainalytics and Inrate have also given Implenia excellent marks for sustainability. Various Swiss banks, including Zürcher Kantonalbank, Bank Vontobel (formerly Vescore) and J.Safra Sarasin, include us in their sustainability portfolios. At the end of June 2018, Implenia succeeded in increasing its current credit facility with the existing Swiss banking syndicate led by UBS by CHF 150 million to CHF 800 million. The applicable credit margin will be partially tied to the sustainability performance determined by Sustainalytics, making Implenia the first industrial firm in Switzerland to adopt this system. Due to the current good assessment, Implenia thus receives improved conditions. Implenia has been given an outstanding score of 77 points by the world’s leading provider of research and ratings for environmental, social and governance issues (ESG). Compared to the previous year, the rating was further improved. This makes Implenia a leader in its sector and a pioneer in the area of “green” credit financing. The fact that the long-standing sustainability efforts of Implenia are now also having a clear monetary impact on its financing represents an important and systematic step. Satisfied customers form the basis for Implenia’s long-term success. Implenia regularly tries to find out how its customers judge its services. As well as talking to them directly about their experience, Implenia has for years carried out systematic customer satisfaction surveys. Implenia completely revamped its customer feedback mechanism in 2016. Rather than using questionnaires, this has been integrated into a web interface within the IMS Implenia Management System since the start of 2017: Implenia wants to offer its customers a modern, user-friendly process and increase the response rate. Implenia receives a total of around 500 individual pieces of feedback from customers each year across all business units. About three-quarters of the feedback is from professional customers, and the rest from private customers such as home-buyers. In 2017, 96 percent of business customers who took part in the customer survey said they were satisfied with our services and would recommend Implenia to others (previous year: 91%). We are very pleased with this excellent result. Private customers were not quite so positive in their assessment: 81% were satisfied (previous year: 89%), meaning that we missed our target of at least 90 percent satisfaction in this customer group. The highest marks given in 2017 were for the commitment and skill of employees (91 percent), followed by compliance with quality standards (89 percent) and response to customer concerns (88 percent). Overall, customers also said they were satisfied with regard to correcting defects (84 percent), the sustainability and innovation of proposed solutions (83 percent) and adherence to budgets (83 percent). Implenia improved its ratings in all eight categories compared to 2016. 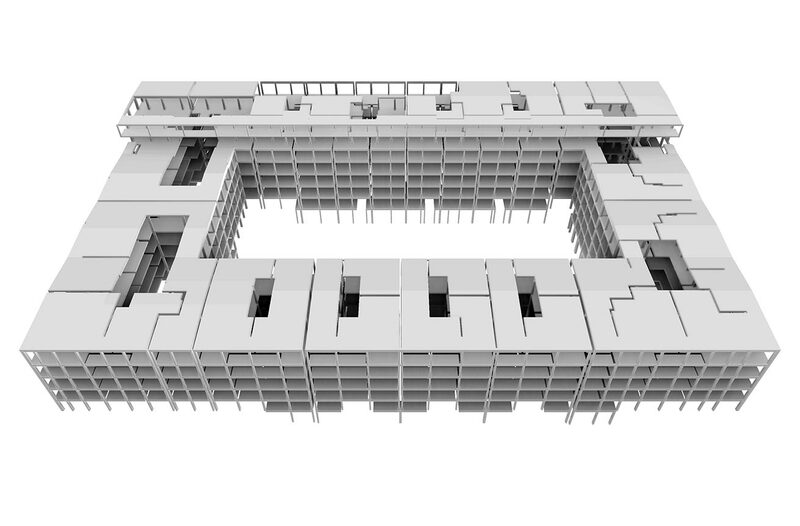 The “Krokodil”, a timber building currently under construction by Implenia in Winterthur, is the first project to use a three-dimensional data model throughout the whole process, from the architectural competition to execution planning. Wood is one of the oldest and at the same time one of the most modern materials. It meets the highest requirements in terms of sustainability and cost-effectiveness, partly because wood is ideal for prefabricating building elements. Implenia makes the most of these qualities, producing timber elements in a special fabrication facility, opened in 2017, that uses computer-controlled processes and the very latest technology. The modern production machines read all the necessary information for wooden elements directly from a three-dimensional BIM model. No wonder, then, that BIM is now being deployed for the first time for the entire planning of a timber building – “Krokodil” in the new “Lokstadt” district of Winterthur. 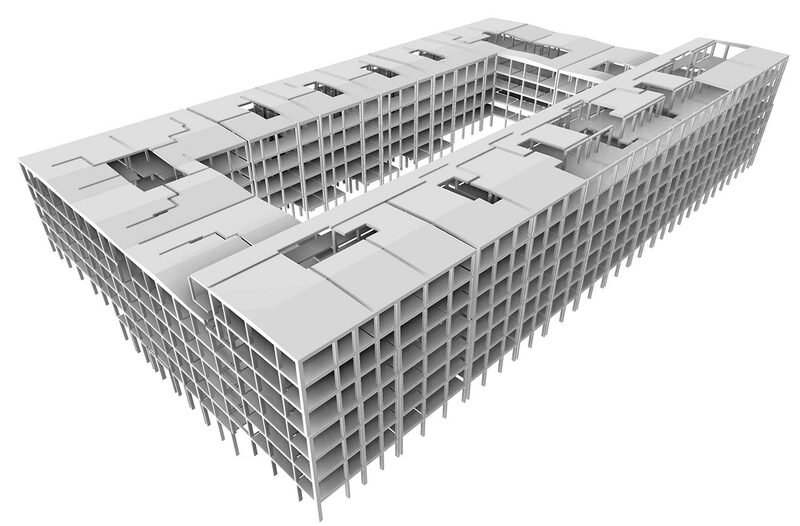 Even the architects who took part in the design competition submitted their proposals as BIM models. The winning model was refined and enriched with more detailed information. All the different trades integrated their execution plans into the respective models. 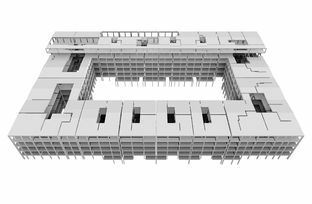 The three-dimensional model helped everyone involved to retain a shared understanding of the building, allowing them to coordinate all the individual parts of the planning much more effectively. The model also helped the project managers monitor the expected project costs and allowed them to check very easily whether sustainability targets were being met. During the execution phase, which the project is currently just entering, the project team expect to keep reaping the benefits of BIM technology. The key aims are to optimise logistics and assembly and to check construction progress more accurately. And will the reality match the theory? The “Krokodil” will soon show us.